So much about the film feels misguided. 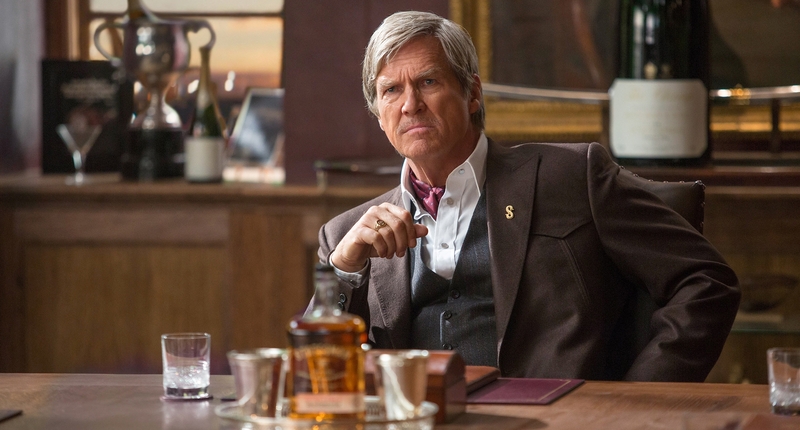 That isn’t to say the film is bereft of good ideas, as the expansion of the Kingsman world to introduce the Statesman (the U.S. equivalent of the Kingsman) is a neat way to bring in new characters. However, despite all the new toys available, the film underutilizes them. Figures like Tequila (Channing Tatum) and Champagne (Jeff Bridges) are shunted off to the sidelines, and when the film tries to show off the new gadgets and tech, there’s no fun or ingenuity. 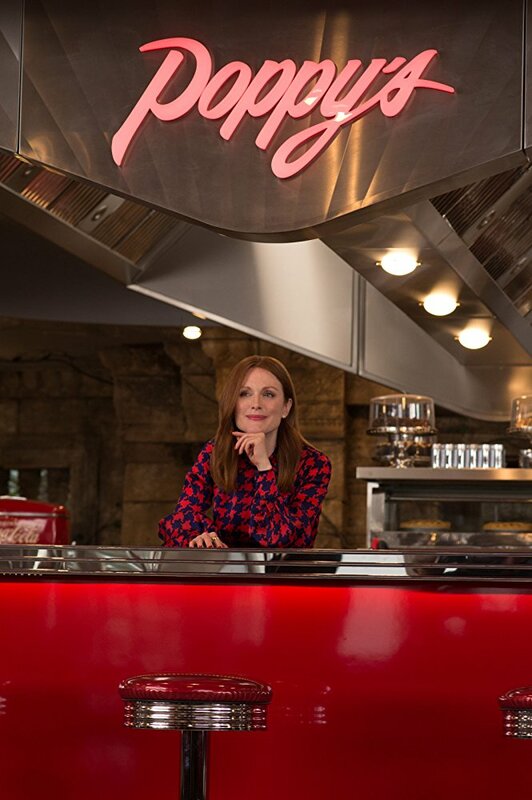 The concept behind the main villain Poppy (Julianne Moore) is interesting at first, but she never quite settles into the story here, and her plans seem rather cobbled together. 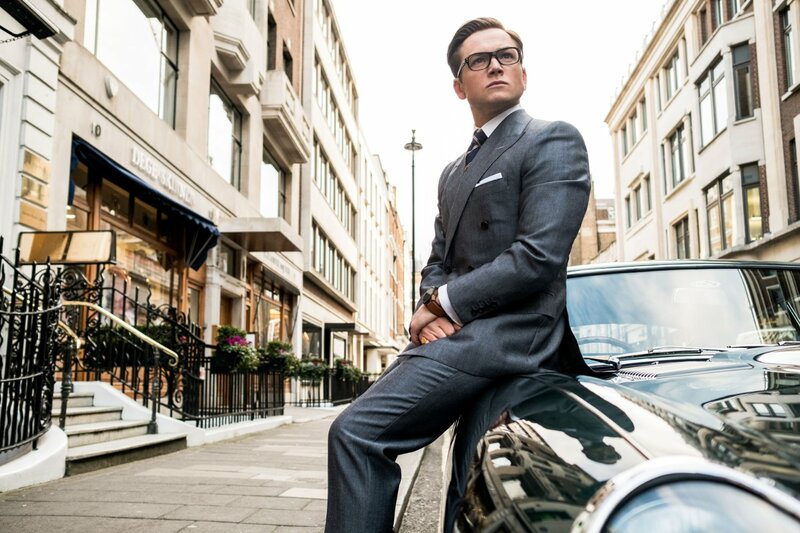 There’s a lot that goes on in the film, with Eggsy (Taron Egerton) attempting to find a work-life balance, Harry (Colin Firth) somehow returning to the fray, the Kingsman and Statesman trying to stop Poppy, and – most baffling – the U.S. President (Bruce Greenwood) navigating through all these shenanigans. These storylines never form into a cohesive whole, though, and the story sputters as it moves from one to another, making it difficult to care about, much less emotionally invest in, anything going on. Vaughn and Goldman pepper their script with perplexing storytelling decisions, and as some of them happen just because, I couldn’t help but sense a mean cynicism bubbling beneath it all. With the story falling flat on multiple fronts, it’s typically left to the cast to conjure some movie magic, but there’s only so much they can do. With all these storylines vying for our attention, Egerton rarely gets to showcase his charm and is rather subdued as a result, though his chemistry with Hanna Alström (who plays his girlfriend Tilde) holds some laughs. Firth, blessed with opportunities to make Harry a more multidimensional character, has fun with his antics and personality shifts. Mark Strong and Halle Berry too are bright spots as Merlin and Ginger Ale respectively, with the former taking advantage of a number of emotional beats and the latter establishing a nice rapport with her co-stars. As mentioned already, Tatum and Bridges aren’t in the film all that much, and while they inject some quirk into their characters, they don’t quite register. Pedro Pascal’s Whiskey receives the most screen time out of all the Statesman, and the actor turns in a committed performance. One of the film’s biggest sins is wasting Moore, who shows flashes of intrigue during her moments but is ultimately saddled with a flat and underwritten character. This is a flashier production compared to its sequel, but it also feels less because the film isn’t sure of itself. You feel every minute of its near two-and-a-half-hour-long runtime, as it frequently drags. Granted, fault lies more with the script rather than editor Eddie Hamilton’s work, but this is very much a poorly paced picture where it’s too easy to get bored. George Richmond’s energetic cinematography lends itself well to the action sequences, which are ridiculous to behold but don’t hold a candle to the church brawl in The Secret Service. Given that this is a globe-trotting adventure, colors flourish in Darren Gilford’s all-round production design. The visual effects hold up better here than the last film, but there are moments when they look clunky or rough. Arianne Phillips’ costumes never get a moment to be flaunted, but they do pop. 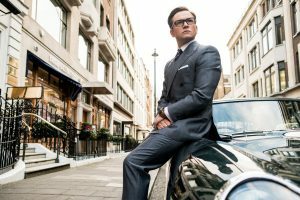 Kingsman: The Golden Circle should at the very least be fun, but there’s hardly a moment where it feels just that despite all the activity. It has the ingredients to succeed, but Vaughn and co. can’t find the right mix that can ensure a cohesive and entertaining experience. The most damning thing I can say about it is that it reminds me of Spectre.